Home Products Paint & DIY Tapes Auto & Reflective Tape Duck® Brand Reflective Tape - White, 2 in. x 30 in. 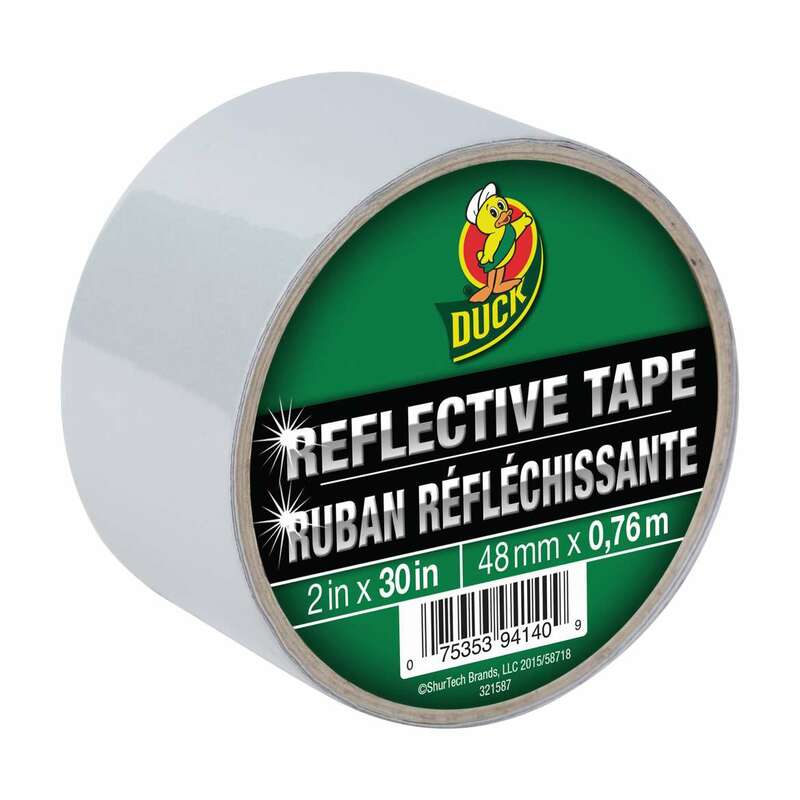 Duck® Brand Reflective Tape - White, 2 in. x 30 in. 2 in. x 30 in. 1.5 in. x 30 in. Help stay safe when the lights go off, by turning up your visibility with Duck® Brand Reflective Tape. From car doors to backpacks, bicycles to helmets, the durable Duck® Reflective Tape boasts aggressive, all-weather adhesion and excellent reflective properties keeping you more visible during nighttime activities and in dimly lit areas. Easily mounts to nearly any standard surface or vehicle in one easy-to-peel step so staying safe stays stress-free.